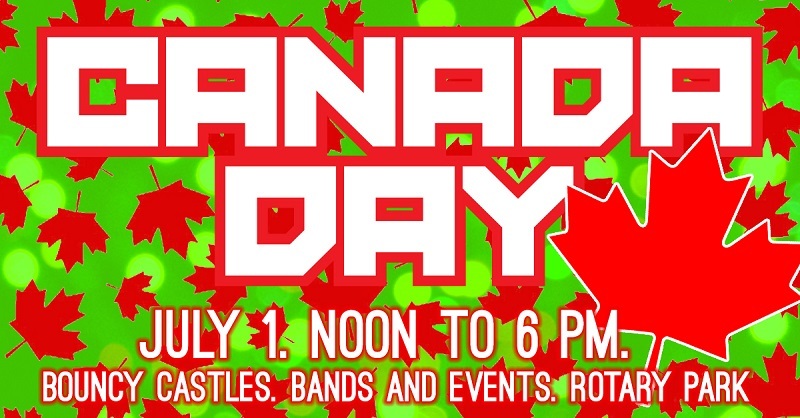 Come celebrate Canada Day, Sunday July 1st, with the rest of the community. Two local bands will rock the gazebo, while a bouncy castle village will be set up at the back end of Rotary Park from noon to 6pm. With an open market of 30 vendors, activities in the park, and special guests joining us for formal celebrations at 3pm, it will be a great way to mark our country’s 151st birthday.